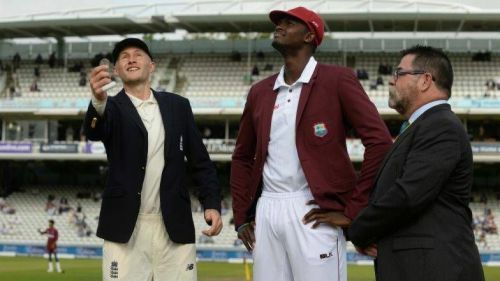 West Indies are set to host the English side at Antigua for another exciting Test match. 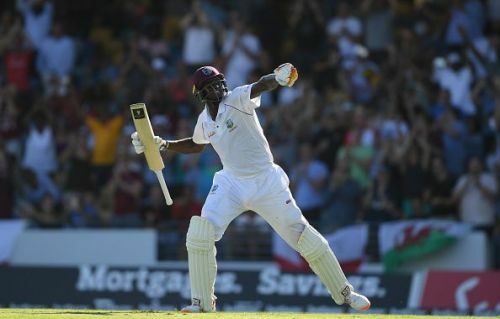 The Caribbean players will be riding high on confidence after thrashing the visitors by 381 runs in the opening Test. England would be hoping to step-up in this must-win match to keep the series alive. The hosts simply outplayed the English side in all the departments and handed the Three Lions one of their worst defeats in the last few years. The Barbados Test was the prime example that sheer determination can do wonders in the red-ball cricket. We all knew that England was a much better team on paper, but on the field temperament matters. Shimron Hetmyer scored valiant 81 runs in the first innings to take the hosts to 289 runs. Kemar Roach then ripped through the English batting lineup, claiming five wickets. Alzarri Joseph and Jason Holder both chipped in 2 wickets each to bundle the visitors for just 77 runs on the board. Windies looked to blow away the first innings advantage as usual when they were reeling at 6/120 in the second innings. Jason Holder walked in and played an exceptional knock to take his side to a stage from where they couldn’t have lost that match. He remained unbeaten at 202 runs at the end of the innings. Shane Dowrich also played a crucial part and remained not out at 116. England could only manage to score 246 runs while chasing the mammoth target of 626. Roston Chase broke the back of the English batting lineup and picked 8 wickets. This complete team performance gave them a famous victory against a world class team. Oshane Thomas has been added to the squad for this game. Stuart Board is expected to play in Antigua, replacing Sam Curran. Joe Denly can make his debut, having joined the squad with Ben Foakes making way for him. England: Joe Root(c), Rory Burns, Keaton Jennings, Jack Leach, Adil Rashid, Ben Foakes, Moeen Ali, James Anderson, Ben Stokes, Chris Woakes, Joe Denly, Olly Stone, Jonny Bairstow, Stuart Broad, Jos Buttler, Sam Curran. Windies: Jason Holder(c), Kraigg Brathwaite, Oshane Thomas, Kemar Roach, Jomel Warrican, John Campbell, Roston Chase, Darren Bravo, Shamarh Brooks, Shane Dowrich, Shannon Gabriel, Shimron Hetmyer, Shai Hope, Alzarri Joseph. England: Joe Root, Rory Burns, James Anderson.